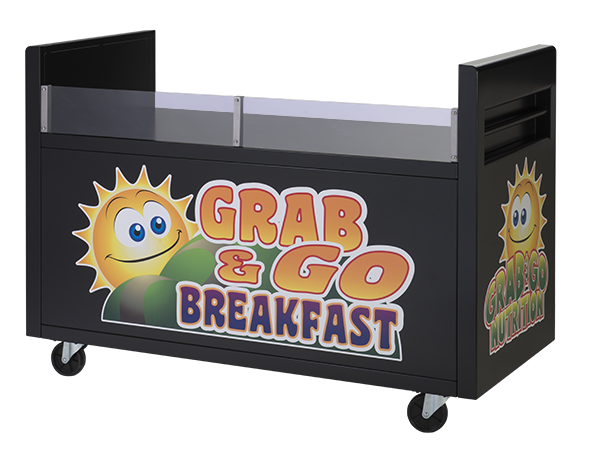 Breakfast Cart - G.A. 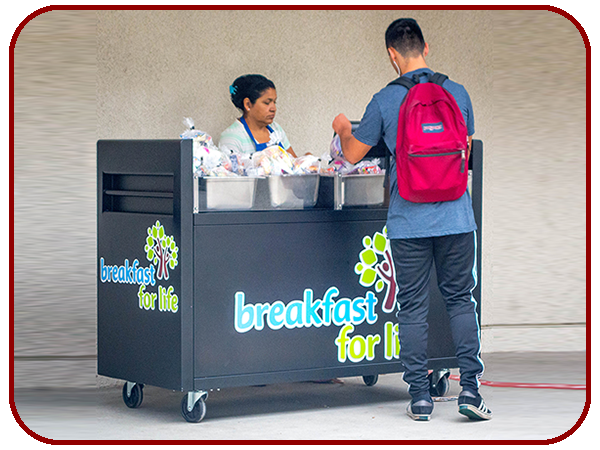 Systems, Inc.
Our Breakfast Cart will increase sales, increase visibility, and increase profits. 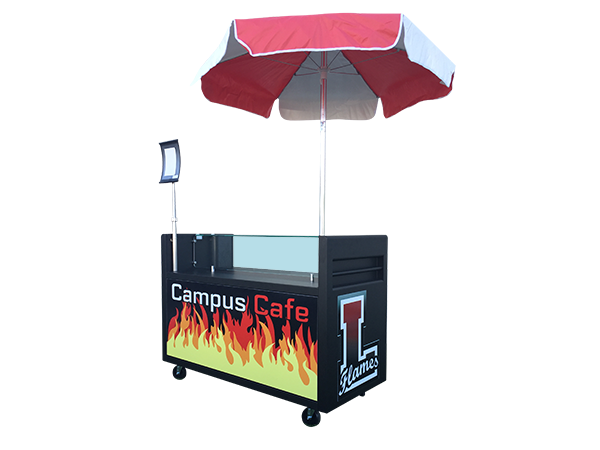 This cart is a lightweight, mobile and has two heavy duty recessed push handles; one on each side making it easy to move around campus. There are three easily accessible storage spaces on server side accommodates 3 insulated front loading food pan carriers. 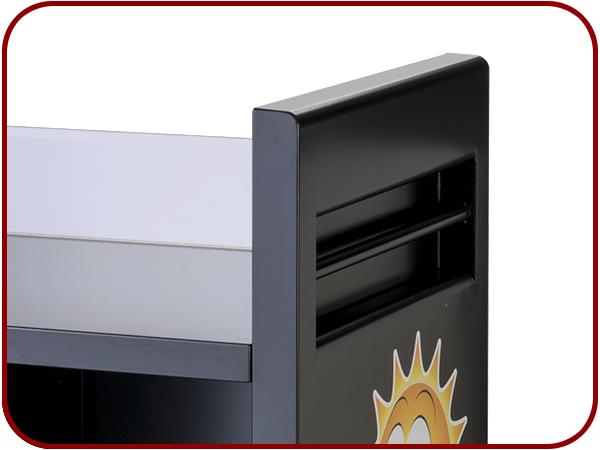 The graphics on the front and end are customizable to display your brand or you can choose from a standard graphic. A Mobile cart with all the right moves! 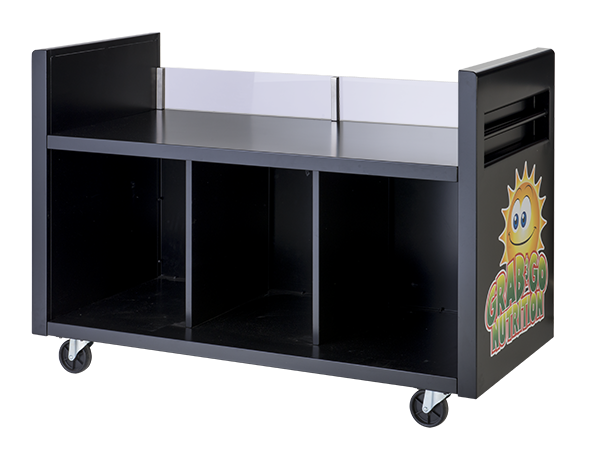 Stainless steel push bar and heavy- duty casters that insure maximum mobility. There are 3 compartments in the base to provide additional space for replenishing of food and beverages.